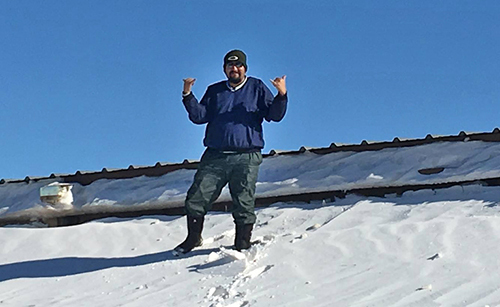 After the blizzard, Carlos Arias, who works at the Clovis, N.M., Municipal Airport, took this self-portrait standing on a snowdrift against one of the hangers - which is 12 feet tall. Most milk producers in eastern New Mexico and the adjacent Texas Panhandle had never seen anything like winter storm Goliath, which brought the region to a standstill just after Christmas. None want to ever see anything like it again. For the dairy industries in both states, the storm could not have picked a worse place to hit, and the price they pay will likely last all of 2016. Goliath was a blizzard of "state of emergency" and "call out the National Guard" scale - both of which happened. It wasn't so much the snowfall in big herd dairy towns like Clovis and Roswell, N.M., and Friona, Hereford, Muleshoe, and Dalhart, Texas, but the tornado-force winds that pushed the snow into roof-high, cow-killing drifts. 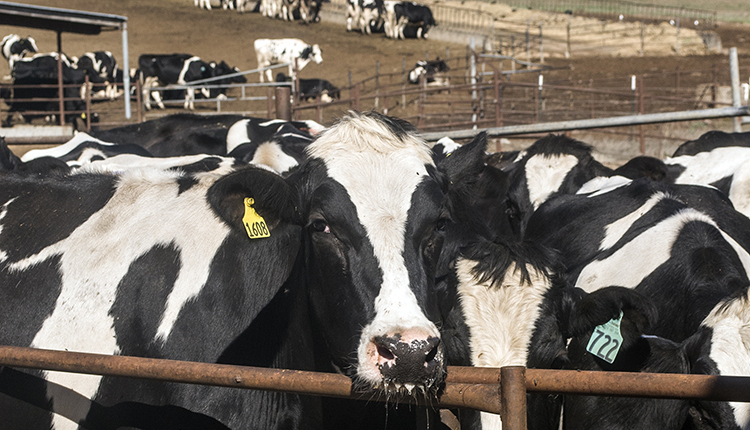 Clovis and the surrounding counties account for about 75 percent of New Mexico's dairies, cows and milk production. 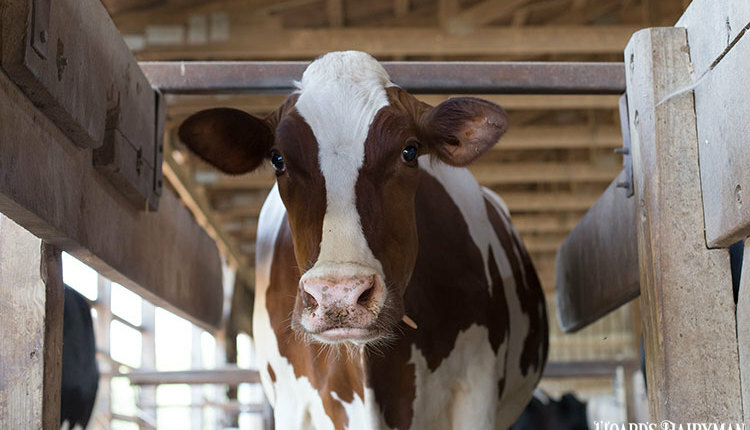 It is the nation's ninth largest state for cows and milk, and ranks first in average herd size (nearly 2,500 cows) and milk per cow (just over 25,000 pounds.) 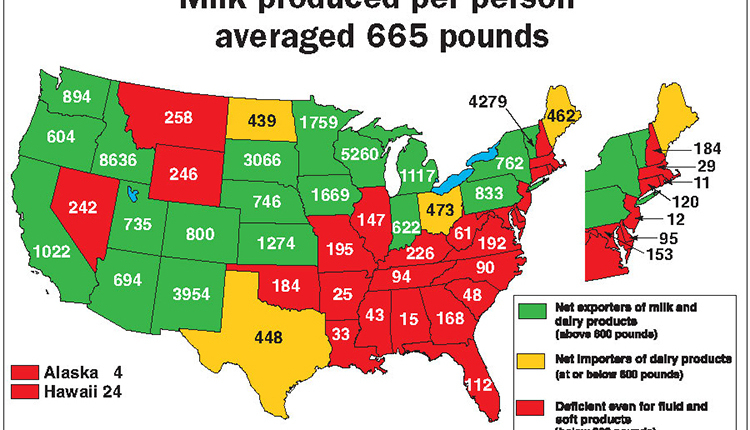 The Texas Panhandle, meanwhile, is home to several dozen dairies that are equally as large. 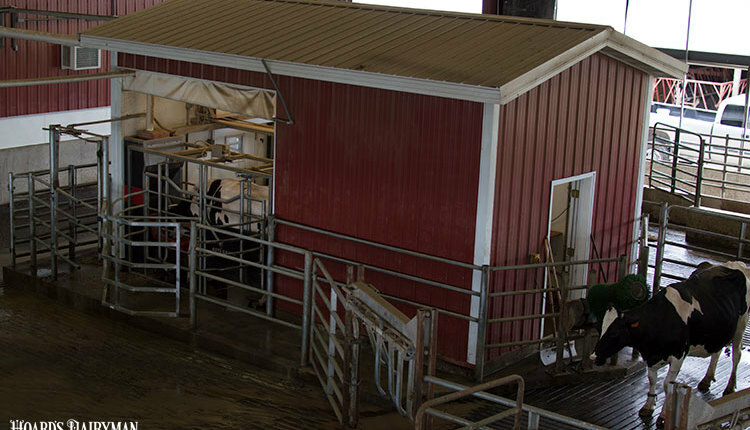 Unfortunately, freestall barns are rare throughout the region; almost all dairies house cows in open lots. After the storm I reached out to friends in Clovis, Friona and Dalhart to see if they were okay and to hear stories they still can't believe themselves. Each said the same thing at some point: "We were lucky, others got it much worse." Each had up to several hundred cows die, but they knew of other dairies (plural) that lost 1,000 or more each. Many animals were buried in drifts as they bunched together for protection against the wind and snow. Some animals used drifts to walk over stanchions and out of corrals. Sustained winds over 50 miles per hour and gusts over 80 were clocked in Clovis. A Dalhart producer said it snowed for 36 hours at his 6,000-head facility. 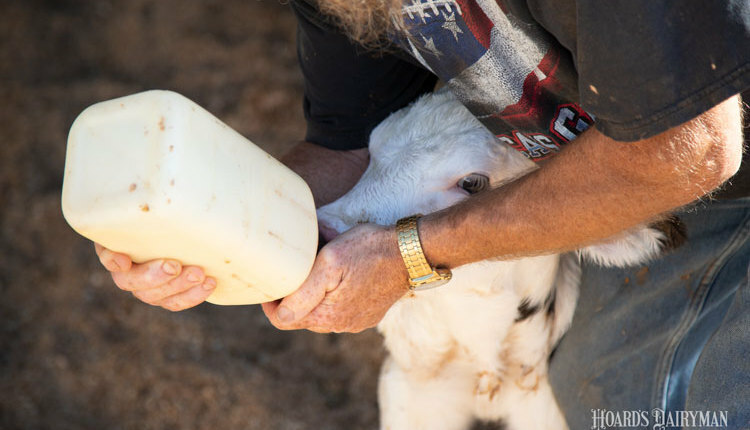 It was common for cows to go without being milked or fed for 24 hours; 36 hours was rare but it happened. Dairy owners and employees being stranded at the dairy - or unable to get in - was also common, as was milk being dumped because tanks were full and it was impossible for trucks to make pickups. Coping with the disaster has just begun. The immediate problem is what to do with the 20,000 to 40,000 head - estimates are constantly changing - that died in the storm. The local rendering plant is full and has said it may be until mid-January. The New Mexico Environment Department (NMED) has rescinded its requirement for using only permitted haulers to remove carcasses. 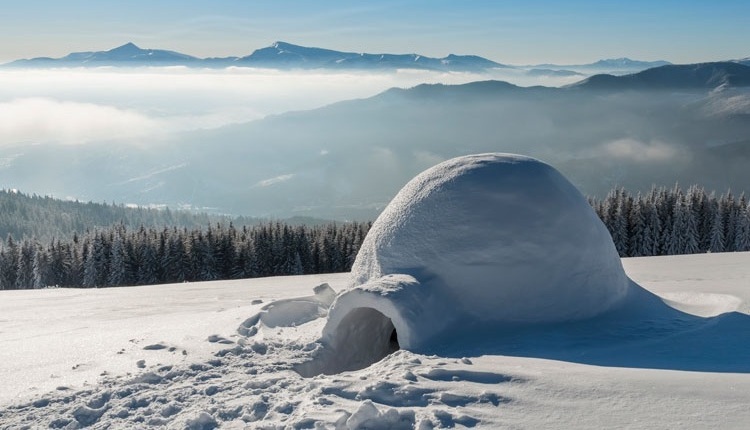 On-site burial and composting guidelines have been distributed to producers, who have also been advised to cover carcasses with snow to delay thawing and decomposition. Producers who lost cattle are eligible for disaster assistance from USDA through the Farm Service Agency Livestock Indemnity Program, which will pay 75 percent of the average market value of livestock due to death caused by an adverse weather condition - except claims must be filed within 30 days and there are caps to the amount available. But Goliath's long-term costs will continue for the rest of the year. 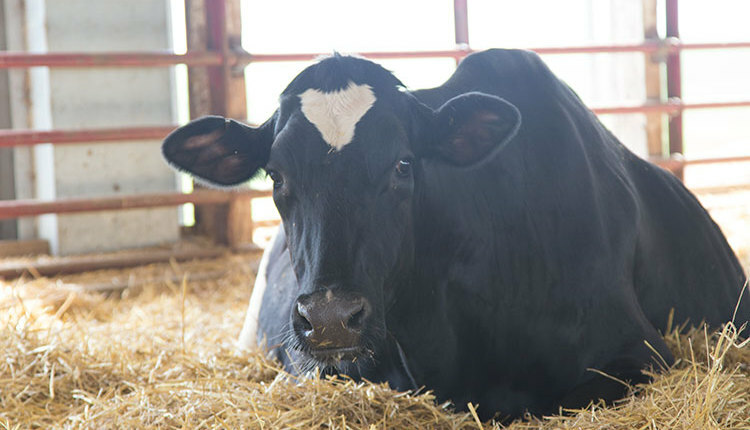 First as other cattle are culled prematurely, then for treatment costs and culling as mastitis and other diseases take hold, and as pregnant cows abort and breedings are missed. 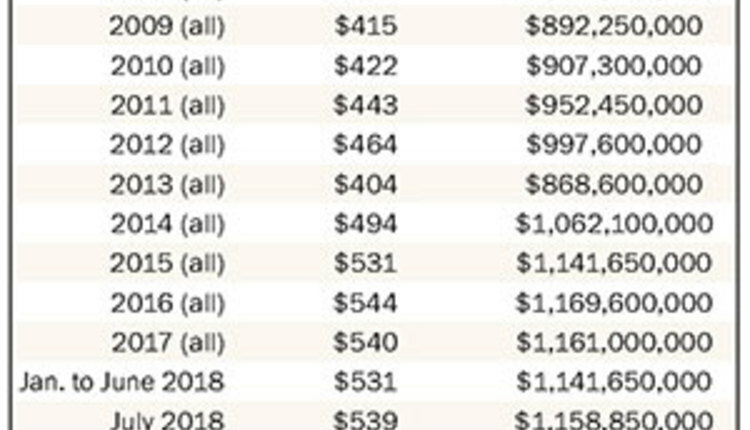 Cows already in lactation, of course, will take a production hit until they go dry; ultimately resulting in what my pencil estimate says will be hundreds of millions of pounds of lost production in New Mexico alone.